Chicken's egg outer shell detail, coloured scanning electron micrograph (SEM). Hard-shelled eggs are produced by birds and some reptiles. The shell protects the growing embryo inside. 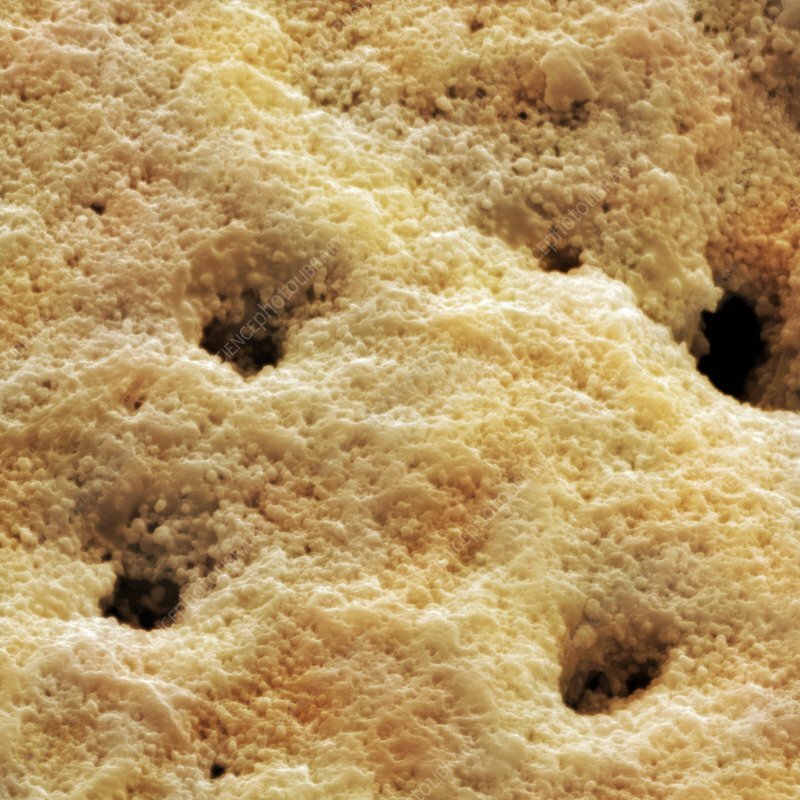 The holes or micropores which can be seen in this image, enable gaseous exchange of the developing embryo. Most of the egg shell material is calcium carbonate which accounts for about a tenth of the egg's weight. Magnification x4156 at an image size of 10cm wide.